You play as Rae, one of the cops from Taco Fiction, except she's an ex-cop now working retail at a gift shop. You're in your car outside the closed store and on your way to Bob's place. Bob, your ex-partner from the police force, wants you to visit him. This is a sequel, of sorts, to Taco Fiction. Dial C for Cupcakes (Ryan Veeder; 20-Oct-2014; Glulx). Other contributors: Sean Veeder (supplied some cupcake names). Testers: Emily Boegheim, Toby Fox, Hamish, Jenni Polodna, Fred Snyder, and Zach. 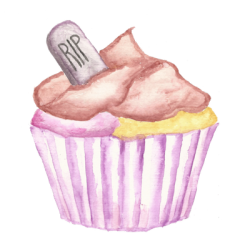 Download cupcakes.gblorb, the story file, from the author's website. Dial C for Cupcakes at ifwizz. Dial C for Cupcakes - at IFDB. Walkthrough and maps by David Welbourn. This page was last modified on 21 June 2016, at 09:20.